The town of Alliston has been established as and remains to this day a thriving commercial center for potato-growing as well as other industrial operations. As a result, the local population has grown by 23% between 2006 and 2011 to 15,379, and it is expected to reach 20,000 in the near future due to further commercial and residential developments. Maintaining the town’s tree canopy is now more important than ever, and this is where a professional tree service comes in. 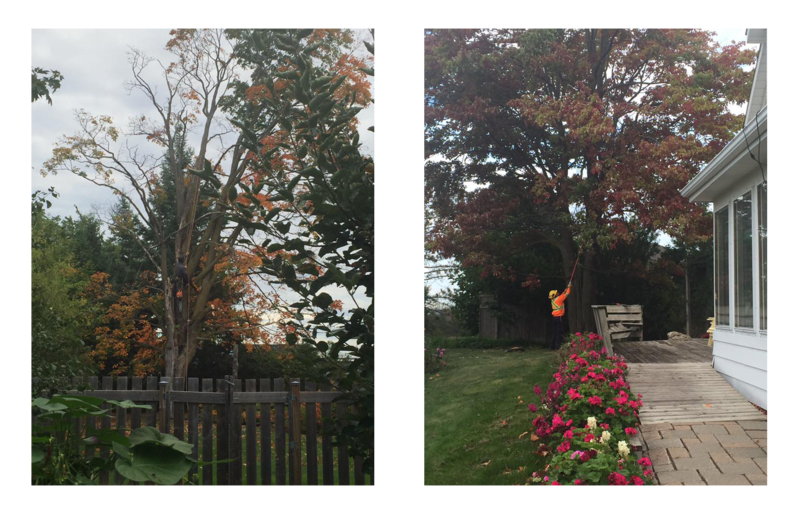 If you seek a tree service expert in Alliston to keep your outdoor space green and healthy, you have come to the right place! Our tree service specialists possess decades of tree service experience, with complete knowledge and training in all manner of landscaping tasks. We are familiar with Alliston’s environmental protection by-laws, established as recently as 2008, and we are committed to maintaining your peace of mind by handling the permits and paperwork for you. Located a mere 45-minute drive from your location, we can be there to help in the blink of an eye! When the trees on your property need to be pruned, repaired or perhaps removed altogether, please do not hesitate to contact Sequoia TreeScape – your professional tree service in Alliston, ON. Simply call (416)-770-8733 or request a free estimate.